The PV Nano Cell team exhibited at IDTechEx USA 2016, which included the shows Printed Electronics USA, 3D Printing USA and Wearables USA. 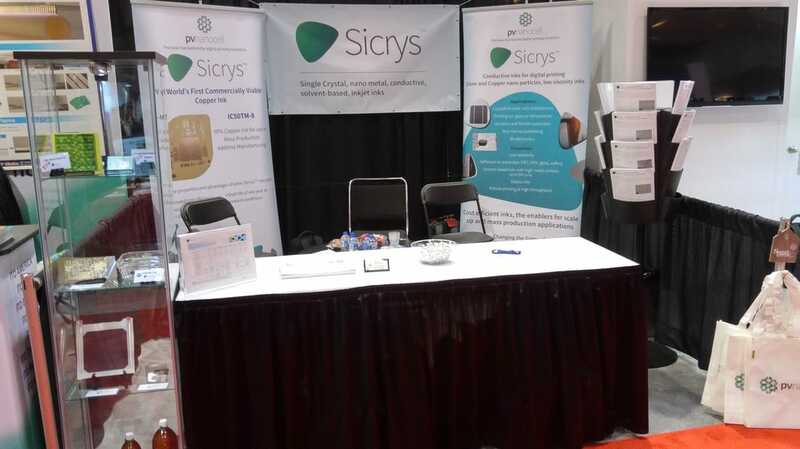 Held in Santa Clara, CA in November each year, the exhibition allows us to showcase our Sicrys™ inks to a large audience. Our newest copper ink was well received, and we enjoyed meeting with everyone at our booth.